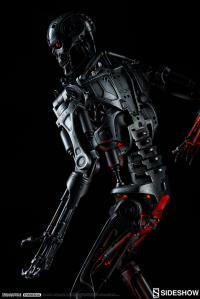 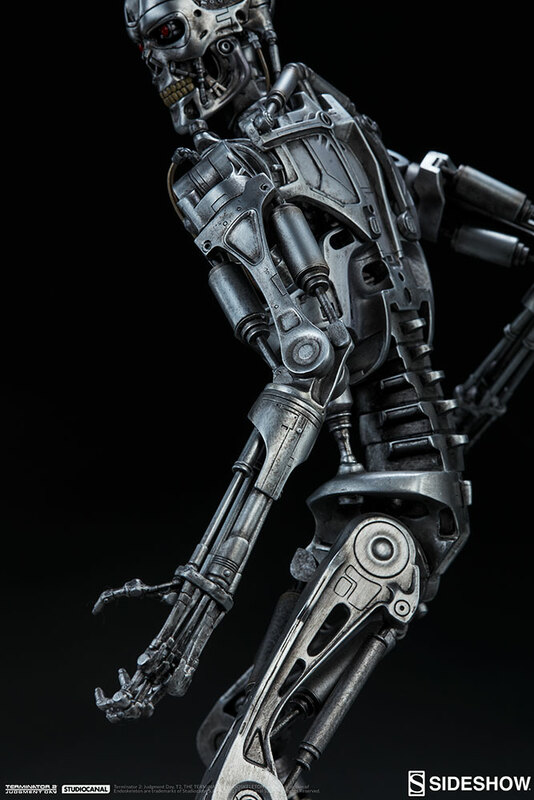 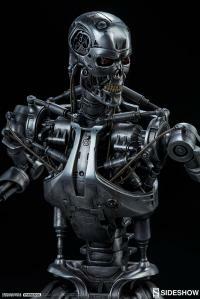 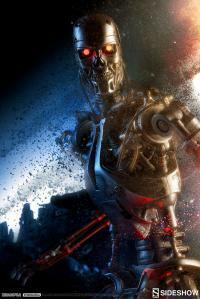 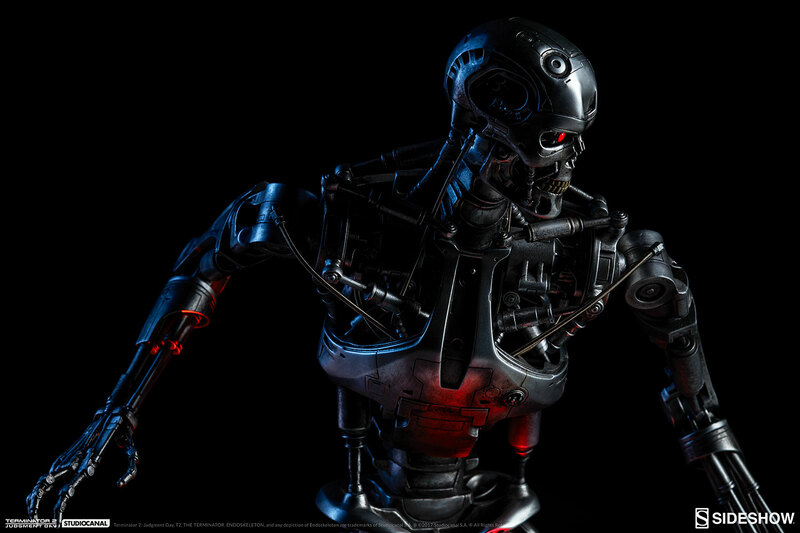 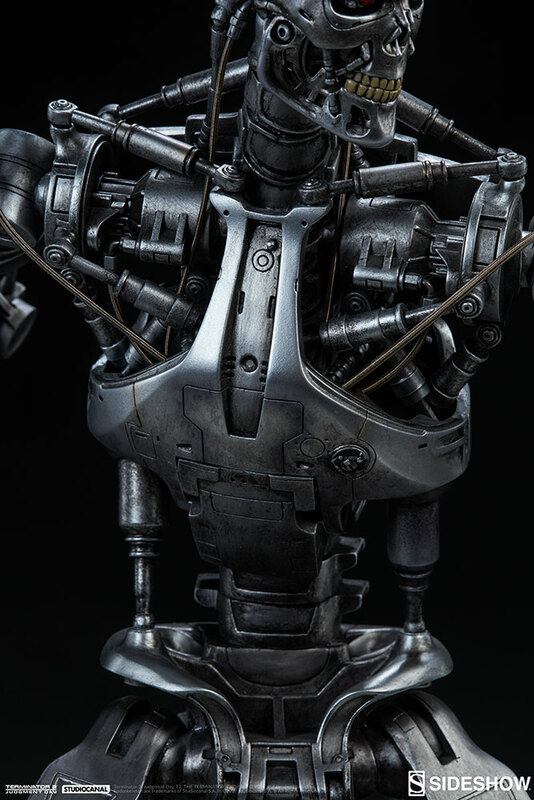 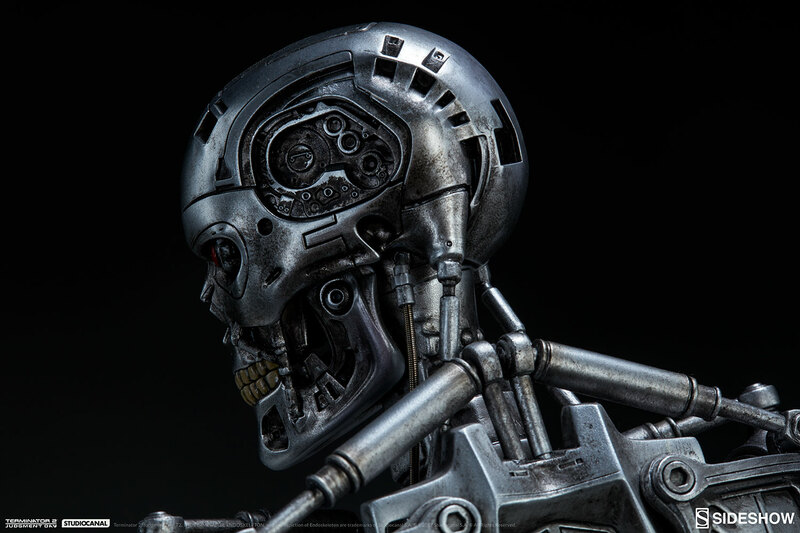 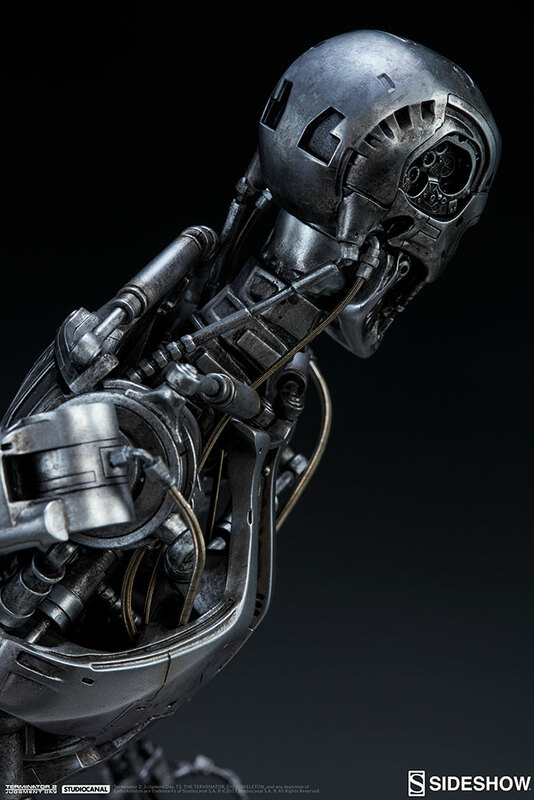 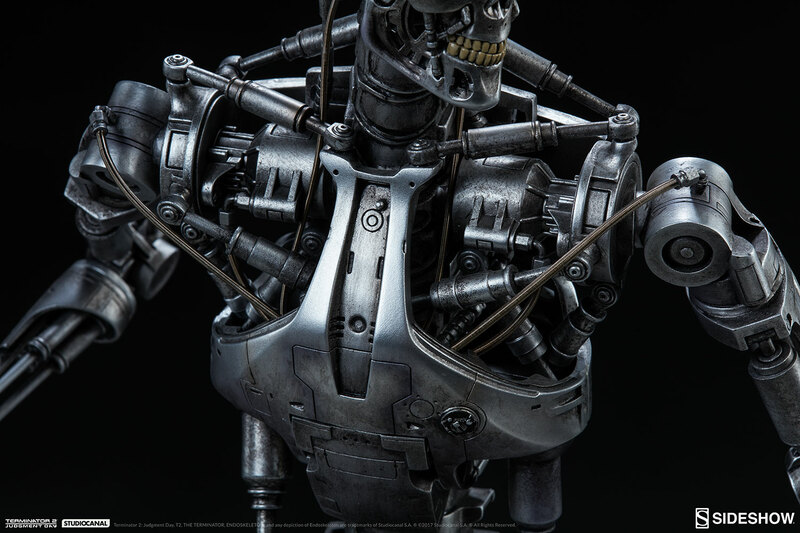 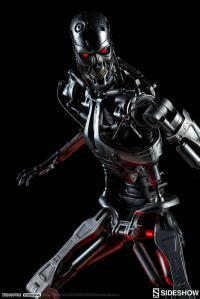 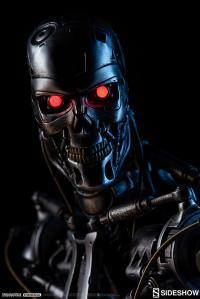 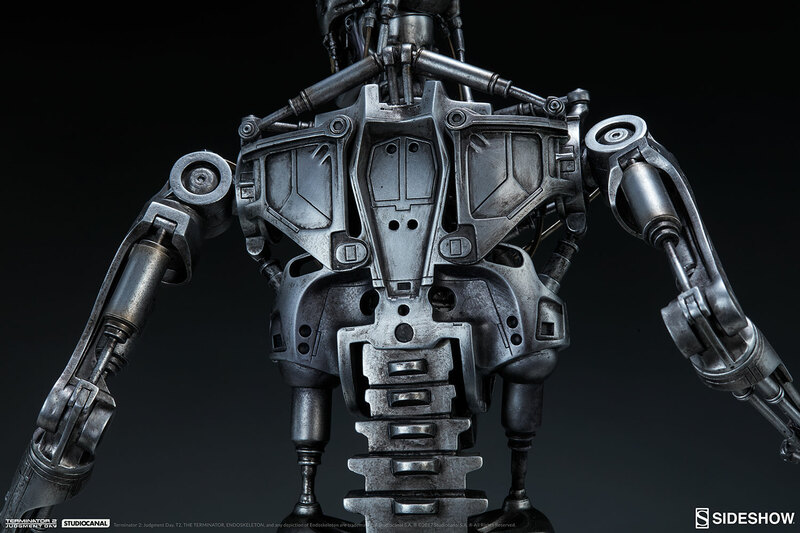 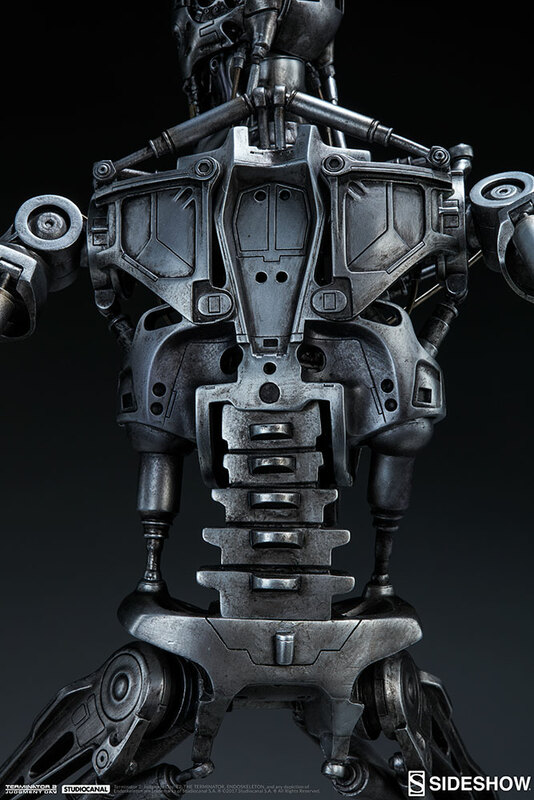 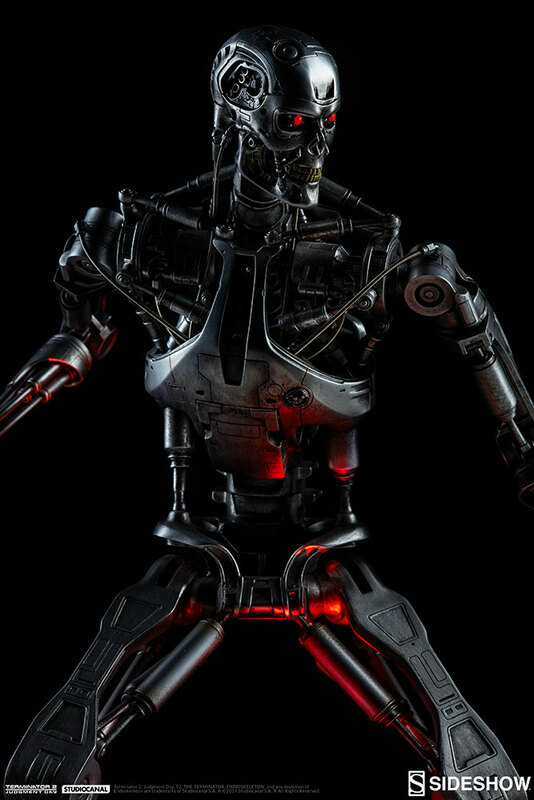 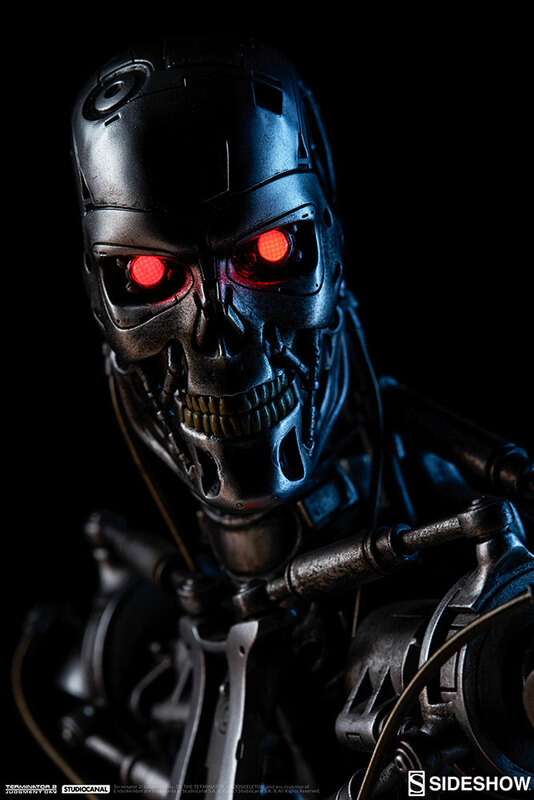 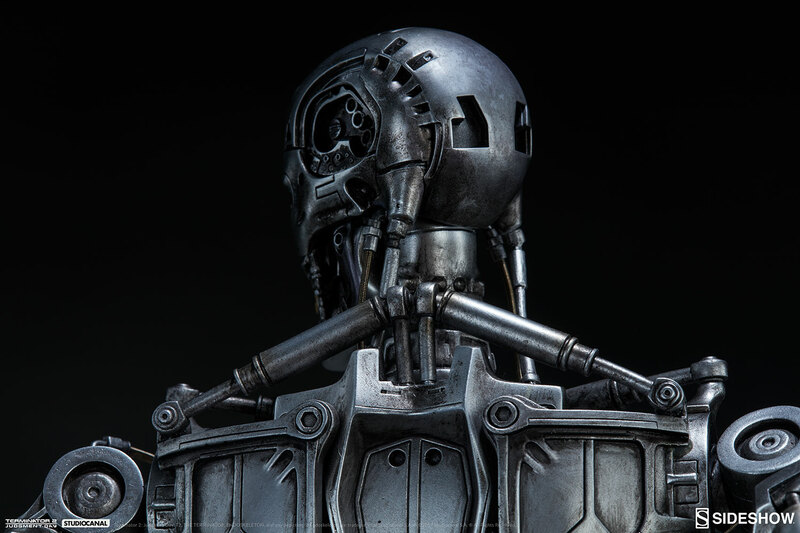 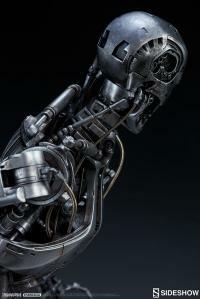 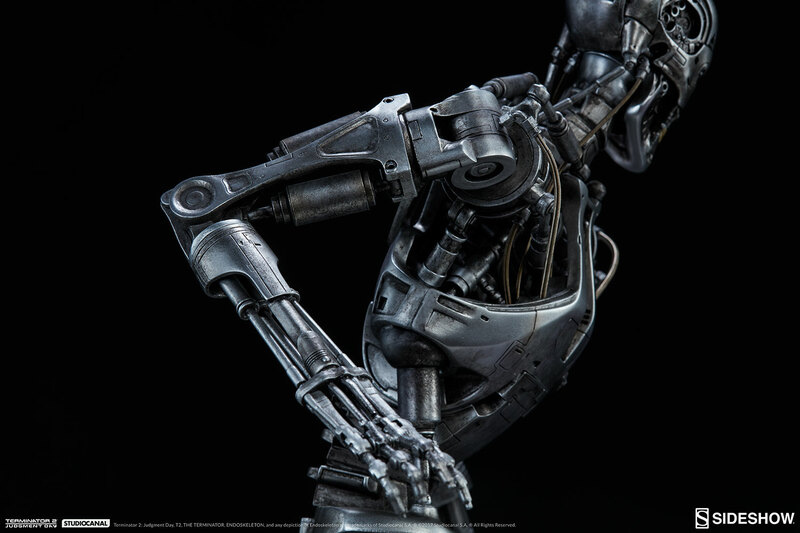 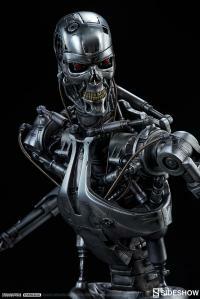 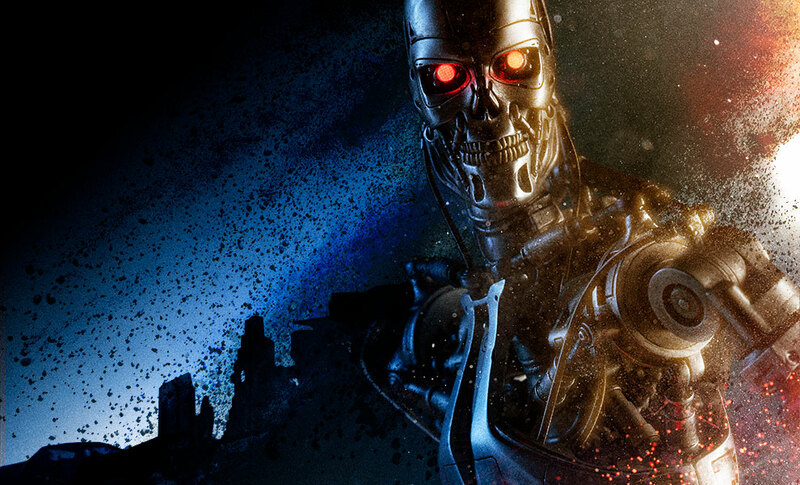 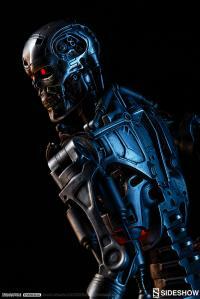 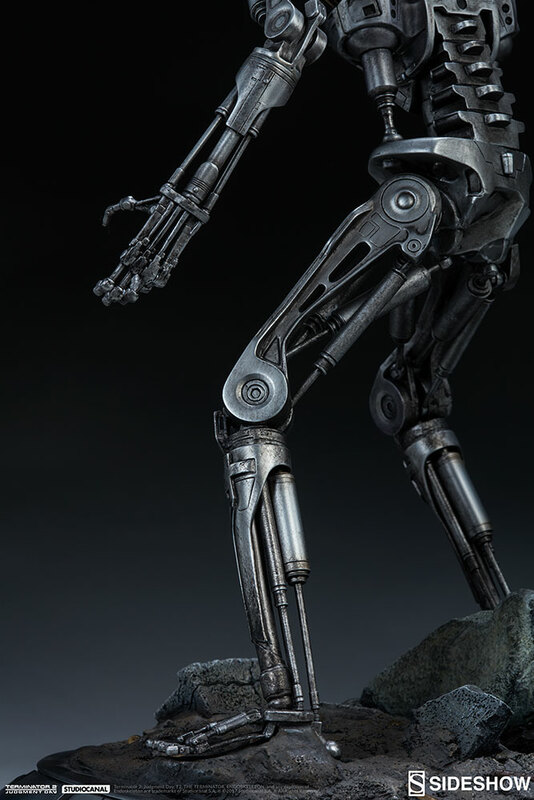 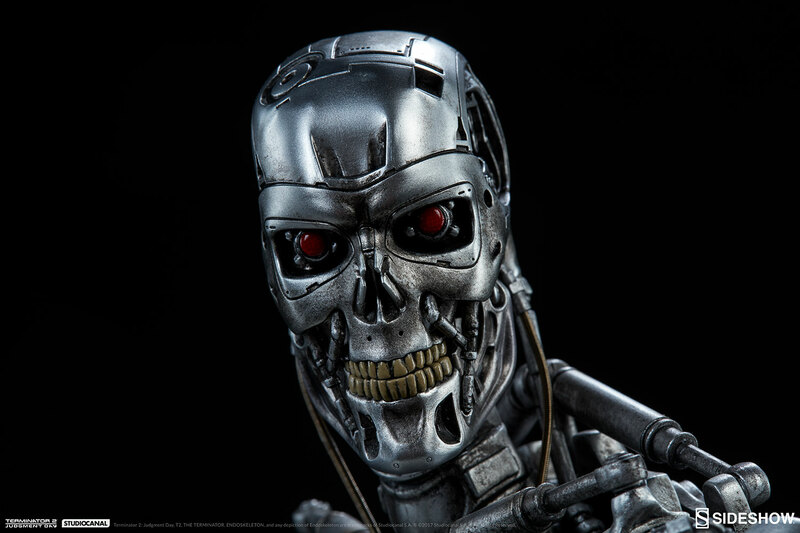 Sideshow’s Terminator Endoskeleton Maquette is a painstakingly detailed recreation of the iconic T-800, the Terminator that first struck fear into would-be freedom fighters everywhere. 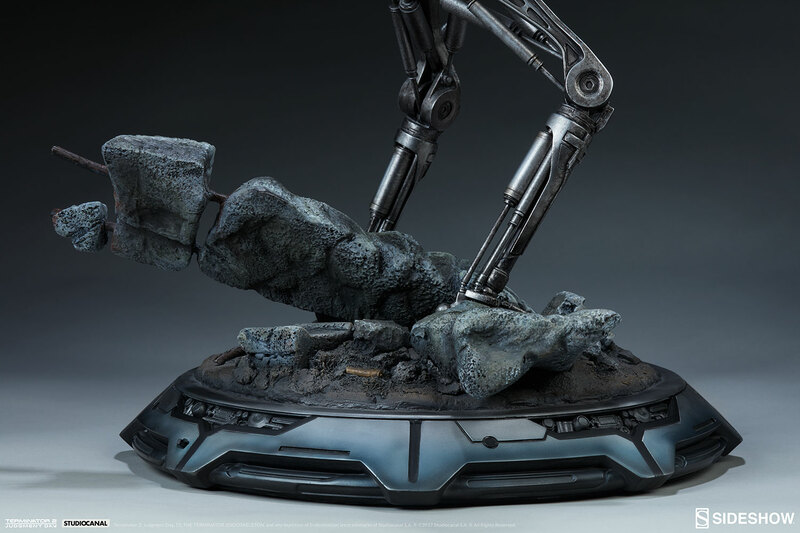 Our version features polystone and premium grade ABS plastic elements in order to maintain the crisp details that one would expect to find in a machine crafted by machines. 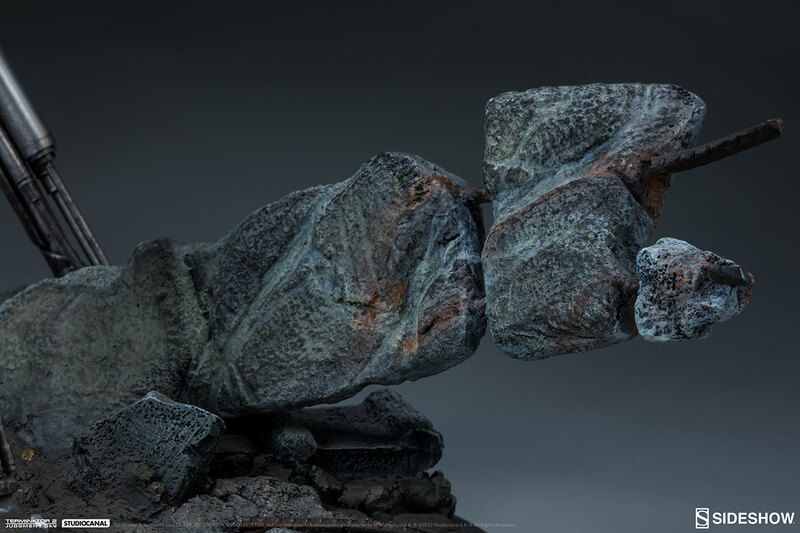 This stunning maquette is made up of over 100 pieces. 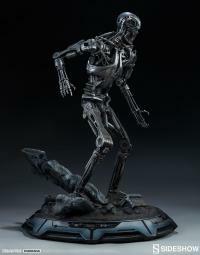 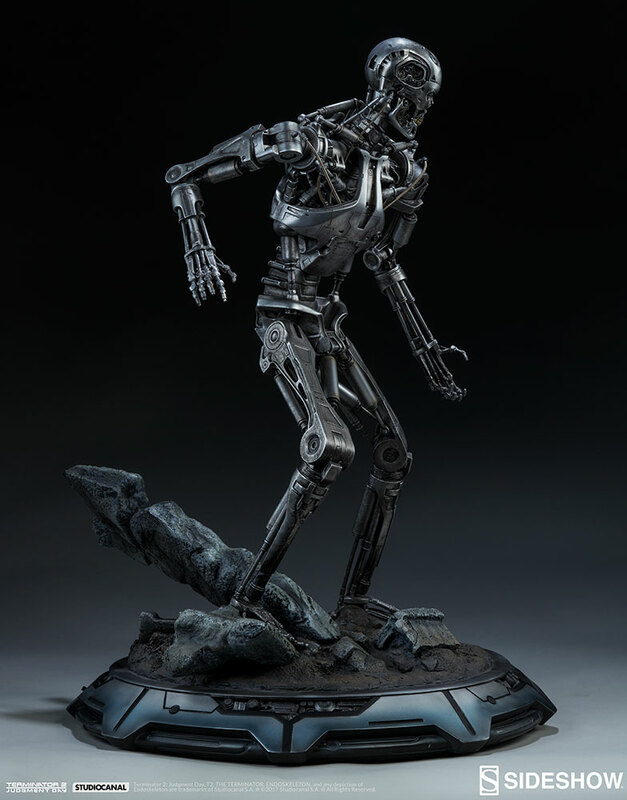 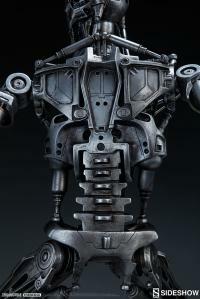 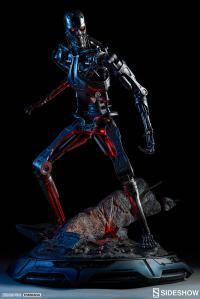 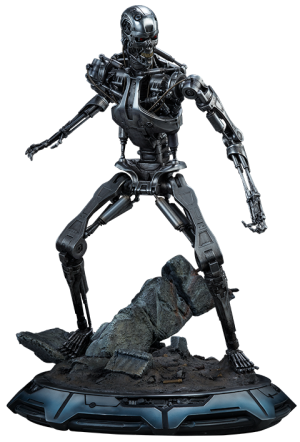 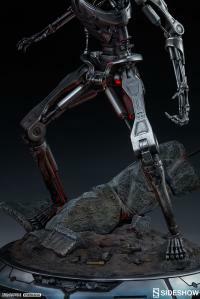 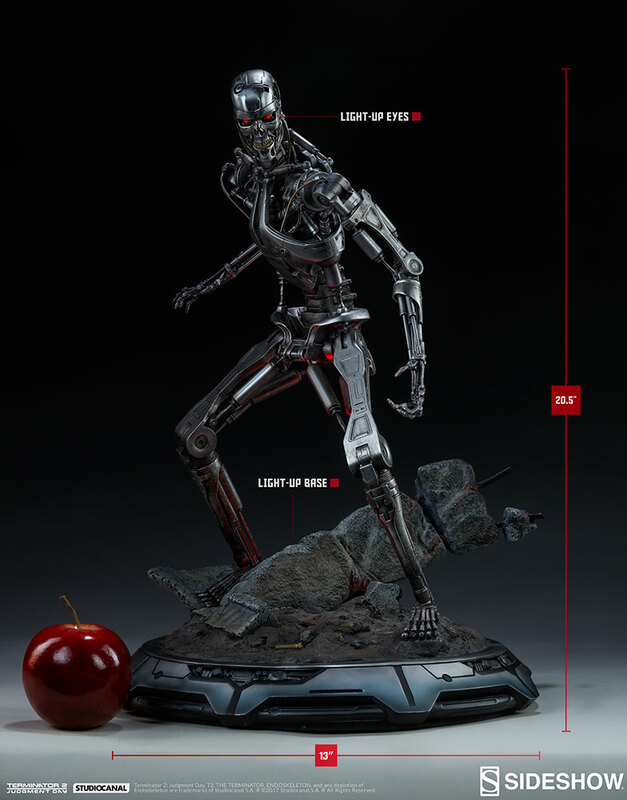 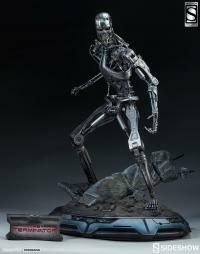 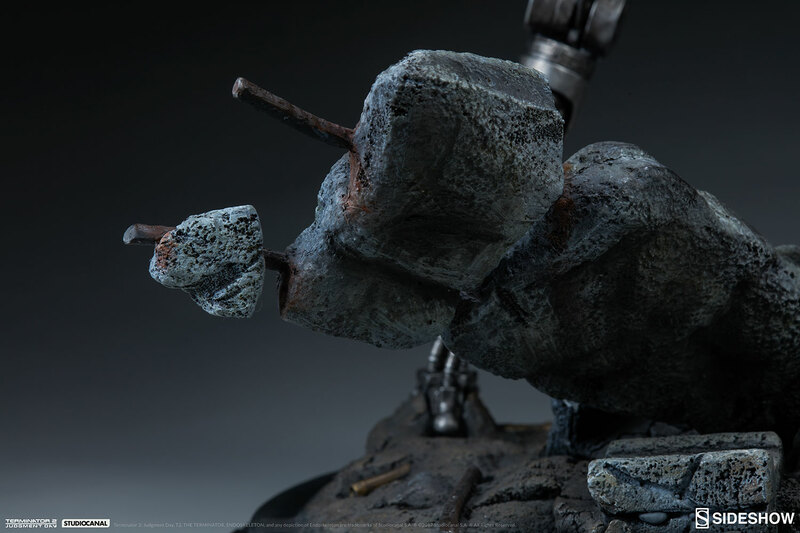 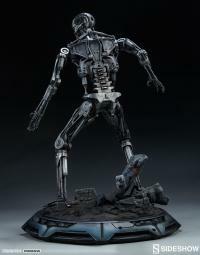 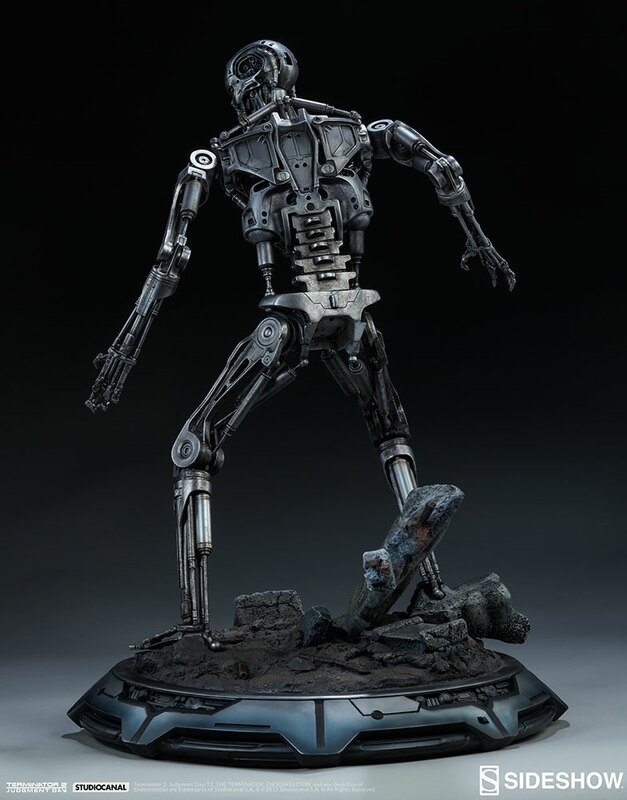 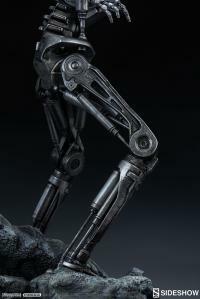 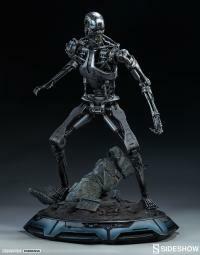 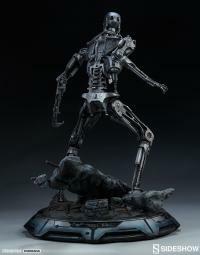 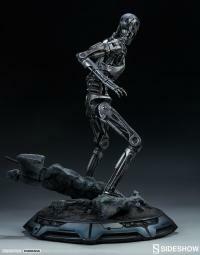 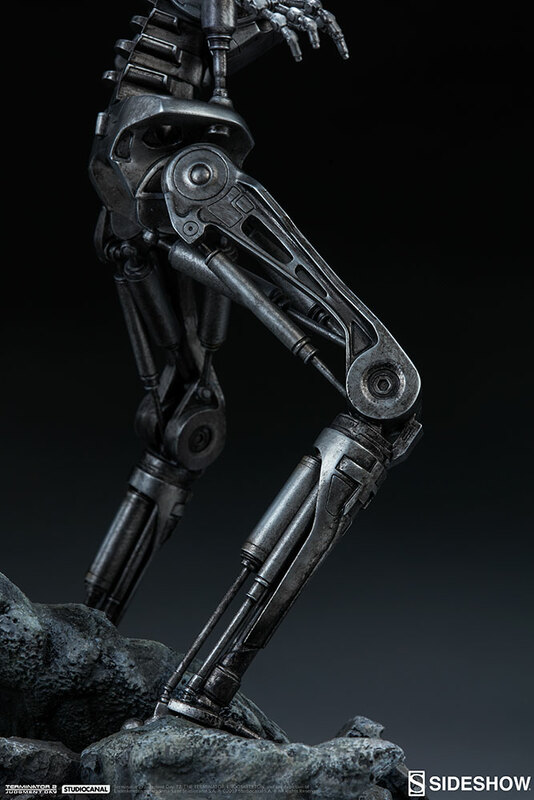 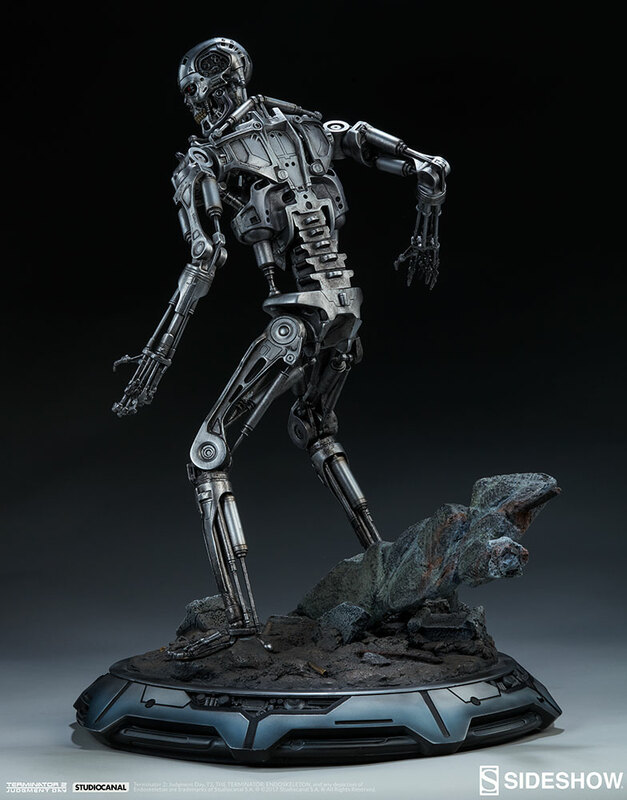 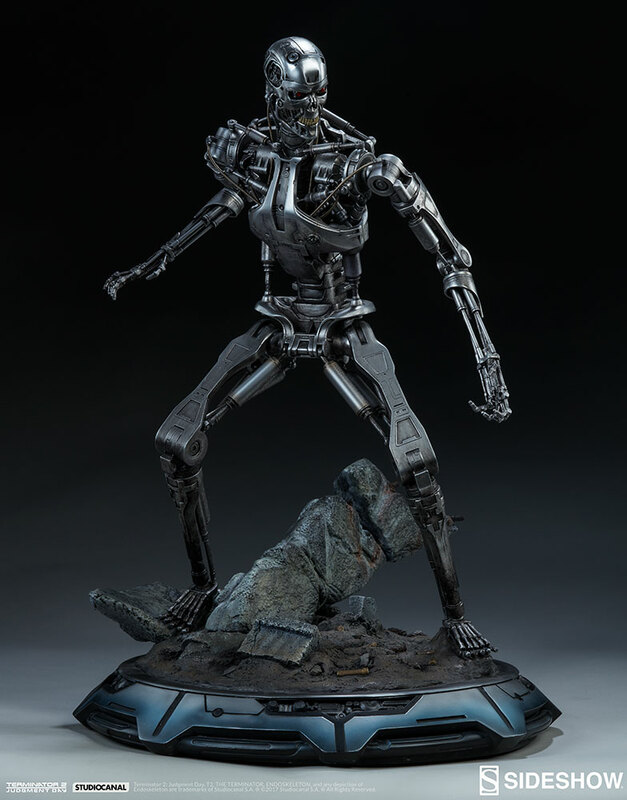 Poised with piercing glowing eyes on a detailed environmental base, the Terminator Endoskeleton Maquette is a critical centerpiece to any collector who values Skynet over her own safety. 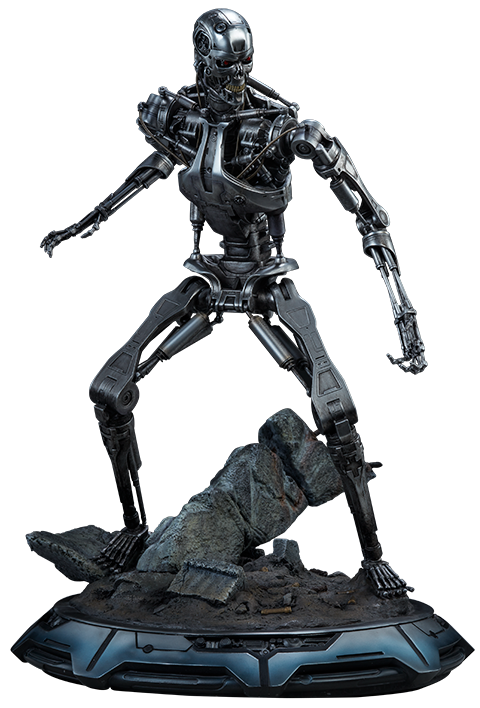 (c) 2016 StudioCanal S.A. "TM" designates a trademark of StudioCanal S.A. All Rights Reserved. 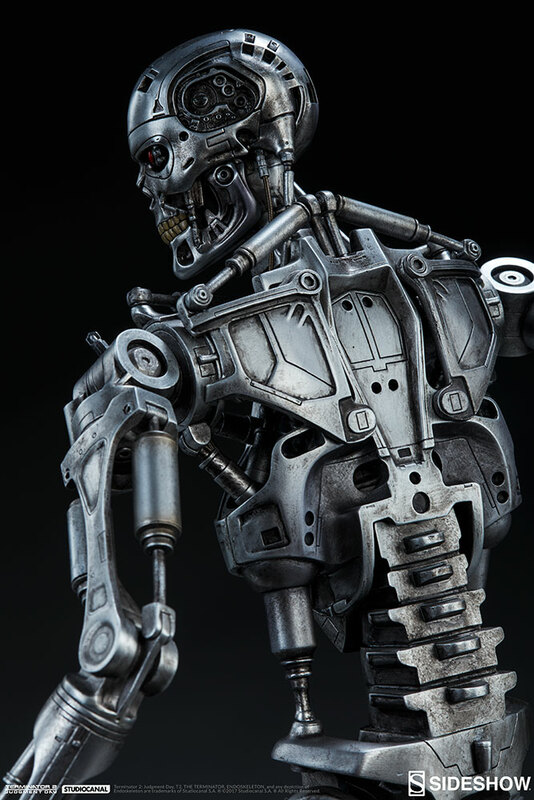 Sideshow’s Terminator Endoskeleton Maquette is a painstakingly detailed recreation of the iconic T-800, the Terminator that first struck fear into would-be freedom fighters everywhere. 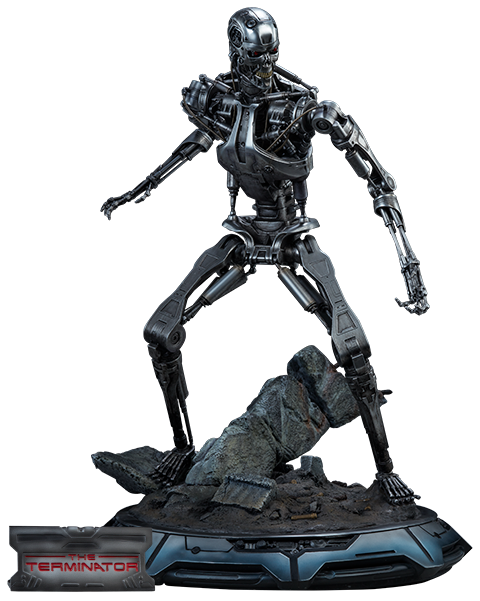 Our version features polystone and premium grade ABS plastic elements in order to maintain the crisp details that one would expect to find in a machine crafted by machines. 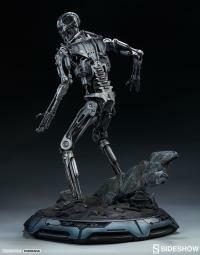 This stunning maquette is made up of over 100 pieces. 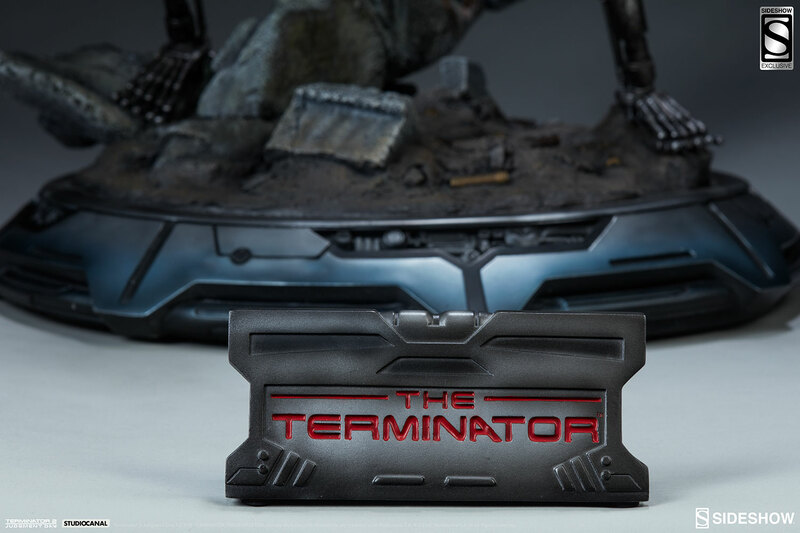 The Sideshow Exclusive version comes with a nameplate for enhanced display options. 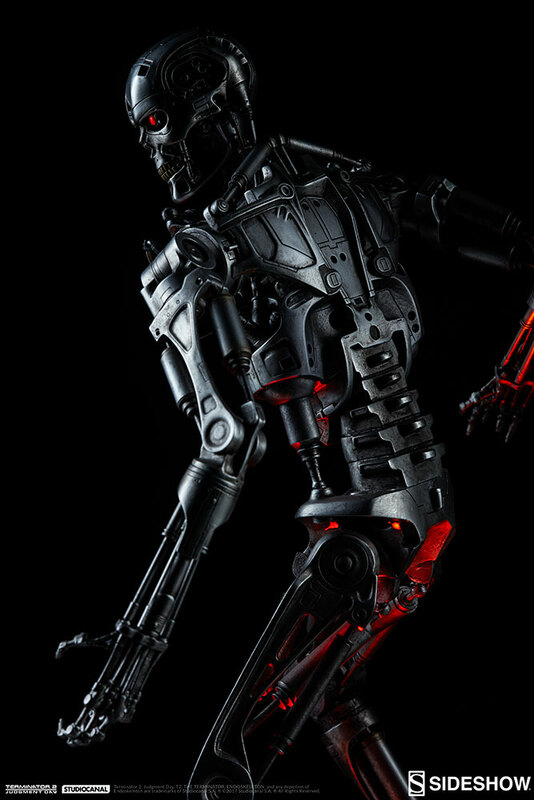 Highly detailes cybernetic awesomeness. 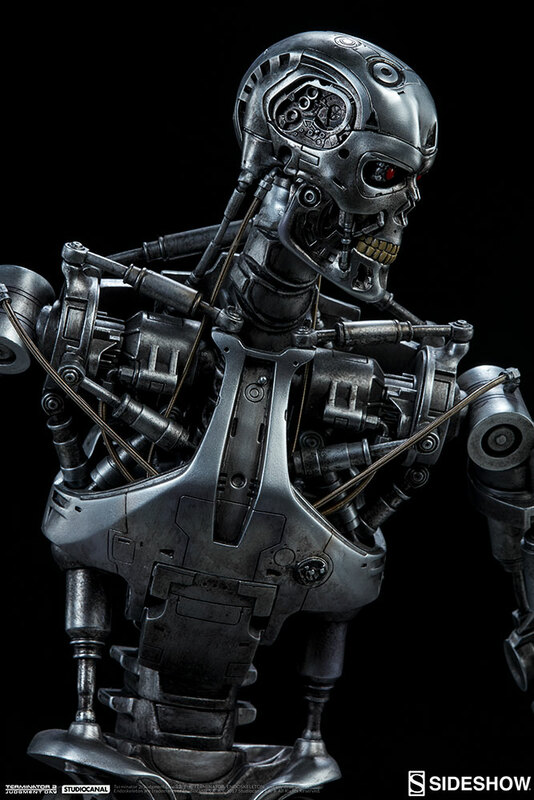 Still, with a few human skulls in the ground would have been perfect.